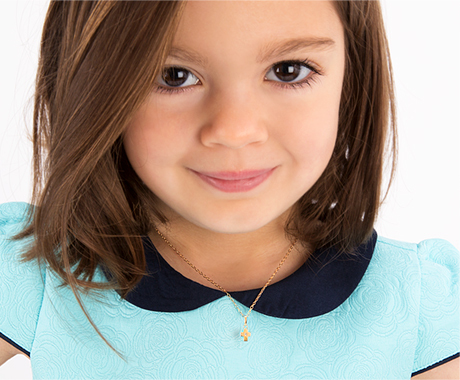 There's no better way to wish your little princess a Happy Easter than with pearls. These beautiful earrings are designed specifically for children, made entirely of authentic, hypoallergenic materials. Lusterous white AAA-grade perfect-round pearls dangle elegantly on 100% solid 14k gold hoops. She will love them!